“The way to a man’s heart is through his stomach”. This is what every mother tells her daughter right from when she can help out in the kitchen. 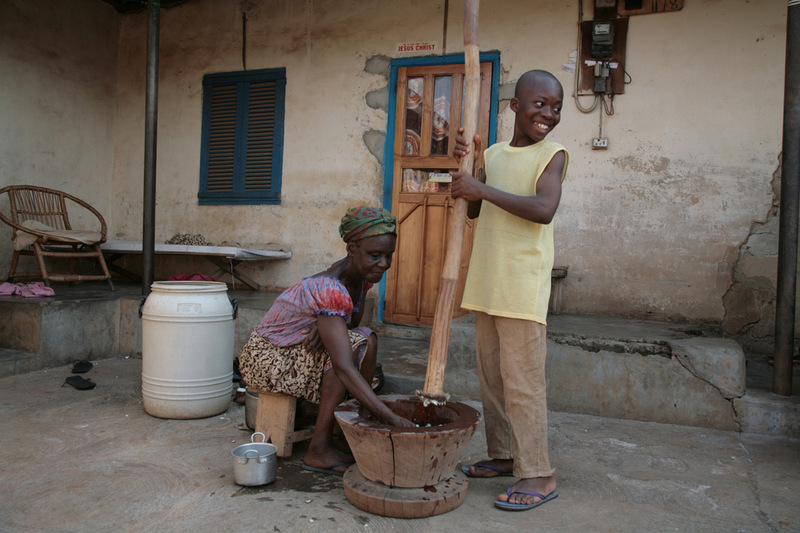 Cooking is traditionally done by women in Ghana and although it is not written anywhere, every woman takes control of the cooking in the home. It’s one way to attract a good man to marry and that is why mothers hand down their unwritten recipes to their female children right from a very tender age. Cooking is done in the kitchen – which is often outdoors. 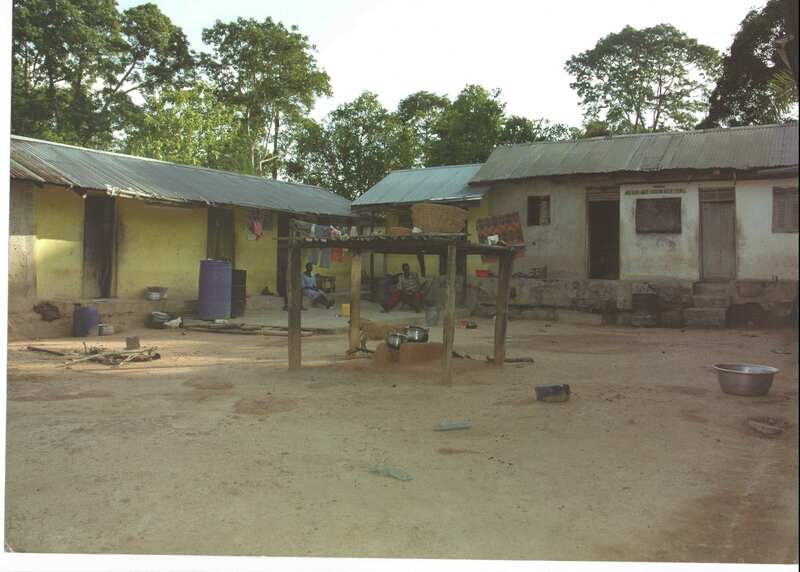 Food in the forest belt of Ghana where cocoa is grown is made from Cassava, plantain, Yam, Rice, Maize, Garden eggs, Kontonmire (our spinach), okro, Fish, beef, mutton and Chicken. Most farmers cook twice a day – Porridges , Ampesi(Yam and Plantain) with Abomu (Kontonmire and or garden eggs with pepper and onion)and rice with stew are prepared in the mornings or mid mornings whilst Fufu (pounded cassava and plantain) and banku (fermented corn dough and cassava dough) with soup are prepared in the evenings. On special occasions like Christmas and Easter, Rice and Chicken Stew, rice balls or fufu with chicken soup is prepared. You can see much more about the foods and recipes of cocoa farmers at PaPaPaaLive – where children of Great Fammis School take you on a journey of discovery of all the foods and ingredients they use in everyday cooking – see the taster here. This is just one of a great series of webcasts that schools can subscribe to as a great basis for classroom discussion. It’s time to make your Christmas Pudding & Christmas Cake! It’s “Stir Up Sunday” this Sunday, the 21st November, which means it’s time to dust off your pudding basins and hunt out your dried fruit as today is the traditional day to make your Christmas Pudding and Christmas Cake. It’s called “stir up” for the obvious reasons that you stir together your fruit mixes. Stir Up Sunday is held on the last Sunday before the start of Advent. Traditionally everyone in the household, or at least every child, gave the mixture a stir, adding silver three penny coins and making a wish while doing so. 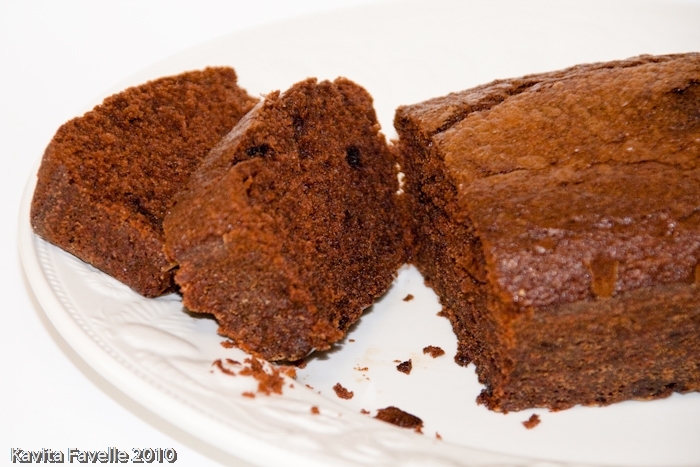 There is then four weeks for the cake and pudding to mature, develop in flavour and be ‘fed’ with brandy or other spirit to give them that characteristic rich, moist, boozy flavour. 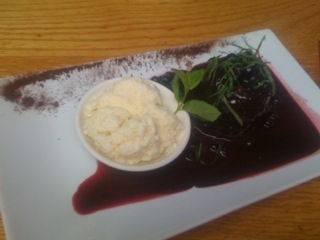 The perfect pudding should be dense & moist and bursting with the flavour of the fruit and booze. Making a Christmas pudding does take time. There are 13 ingredients to prepare and weigh (each of the ingredients representing Christ and each of his disciples), the fruits then need time to marinate, and finally the steaming takes several hours. However, once made and put away in a cool, dry place, the pudding only needs a further hour steaming on the day itself. Most definitely worth the effort! 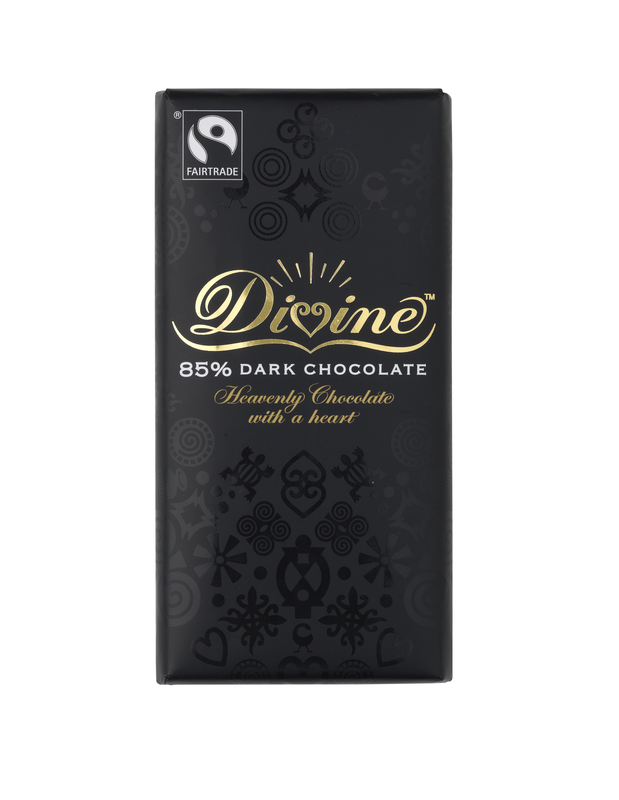 This version includes just a touch of Divine’s velvety rich 85% Dark Chocolate which you can find at Tesco (and Tesco online). 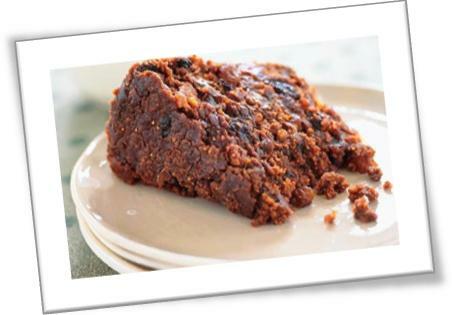 It will add another layer of flavour to this traditional Christmas Pud recipe. 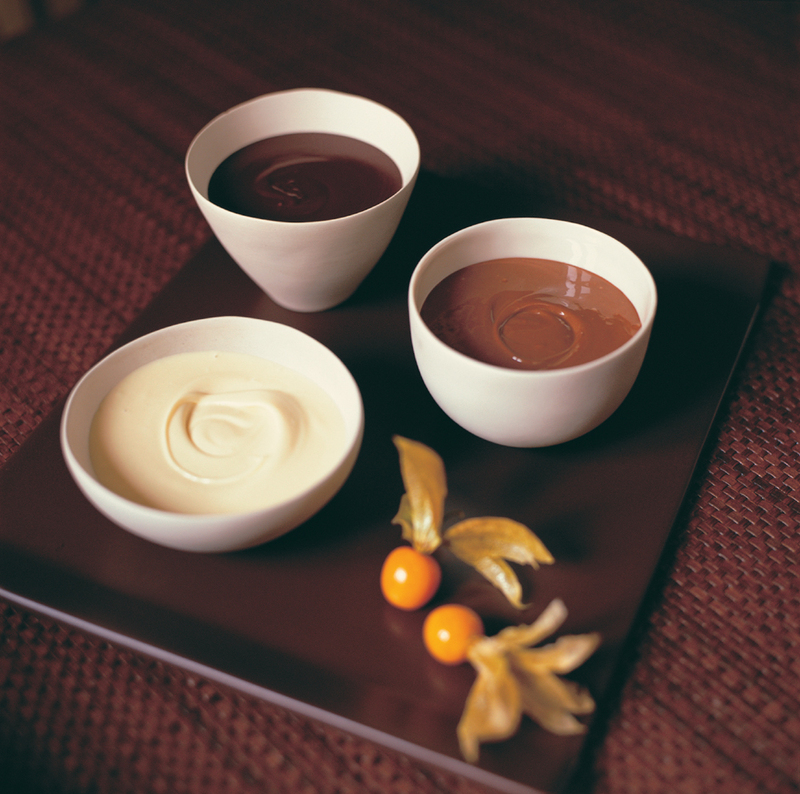 Brush a 1 litre capacity heatproof, microwave-safe pudding basin with melted butter to lightly grease. Combine the sultanas, raisins, dates, figs, apricots, cherries and glace fruit in a glass or ceramic bowl. Place brandy in a heatproof, microwave-safe jug. Cover with plastic wrap and heat on High/800watts/100% for 1-2 minutes or until hot. Pour brandy over fruit mixture and stir to combine. Cover with plastic wrap and set aside, stirring occasionally, for 30 minutes to macerate. Use an electric mixer to beat the butter, sugar and golden syrup in a large bowl until thick and pale. Add the eggs, 1 at a time, beating well after each addition. 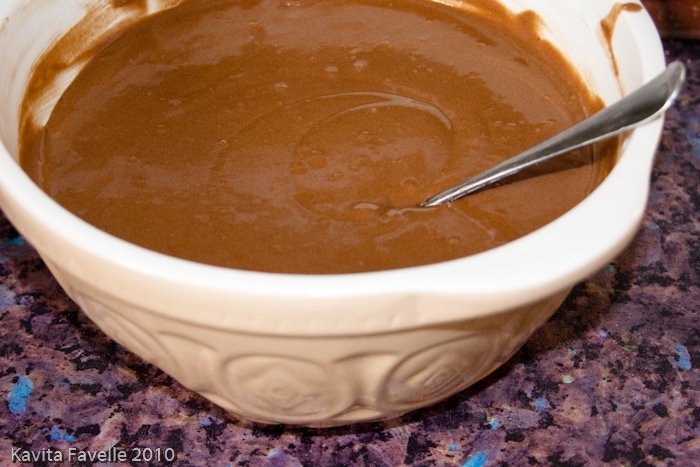 Add the melted chocolate and fruit mixture, and stir until well combined. Add the apple, flour, breadcrumbs, cinnamon, nutmeg and allspice, and stir until well combined. Spoon the mixture into the prepared basin. Cover with two layers of baking paper. Tie string under the rim of the basin to secure. Steam for 4 hours until a skewer inserted into the centre of the pudding comes out clean. Drizzle with extra brandy and set aside to cool. Cover with foil and store in a cool, dark place till Christmas Day. Allow 30 minutes macerating time. You can make this pudding up to one month ahead. Wrap in foil wrap and store in an airtight container in the fridge. Remove from the fridge 4 hours before serving to bring to room temperature. Reheating guide – For the whole pudding: Line a heatproof, microwave-safe plate with non-stick baking paper. Turn the pudding onto the plate. Cover loosely with plastic wrap and place on a microwave-safe rack or upturned saucer (2cm off the turntable). Reheat on Medium-Low/Defrost/350watts/30% for 15-20 minutes or until the pudding feels warm (it will get hotter on standing). For a single serving: Place on a heatproof, microwave-safe plate and cover with plastic wrap. Place on a microwave-safe rack or upturned saucer (about 2cm off the turntable). Reheat on Medium-Low/Defrost/350watts/30% for 2-3 minutes or until warm. Set aside for 30 seconds to stand. Uncover and serve. Bonfire Night is almost upon us folks! Divine’s chocolatier, David Greenwood-Haigh, has developed a very special recipe just for the occasion – a Chocolate Parkin. 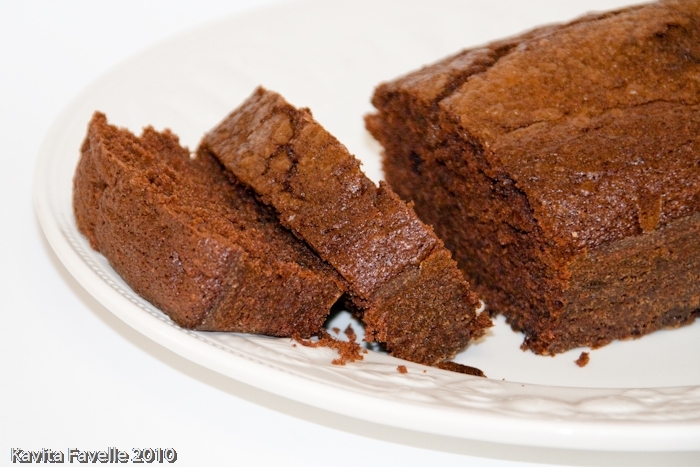 Now for those of you who, like me, aren’t familiar with Parkin, it’s a soft cake made traditionally with oatmeal, molasses, lard and ginger. It originates from Northern England and is particularly associated with Leeds in Yorkshire, and is thought to have first come about during the Industrial Revolution. 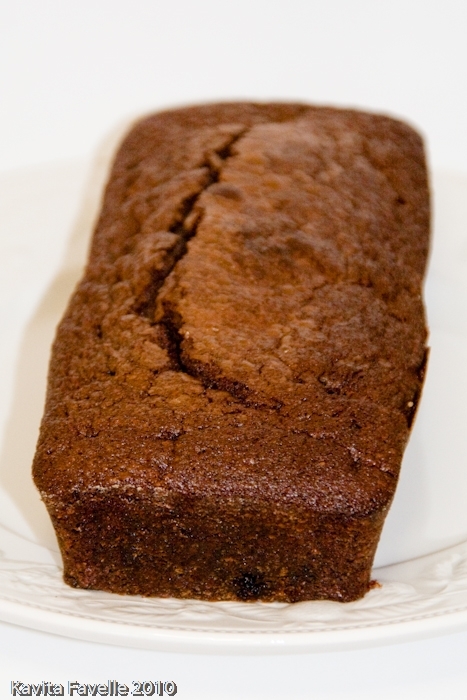 Parkin is now closely tied to Bonfire Night, but it’s best eaten after ageing for a few days – so get cooking today! Sieve all the dry ingredients together into a bowl. Melt the butter, sugar and syrup in a large pan. Stir in the milk and egg, and then add the oatmeal and the remaining dry ingredients including the chopped chocolate. Mix well. Pour into the loaf tin and bake for 1 – 1.5hrs. 60 ways to enjoy Divine … What Divine got up to for Chocolate Week 2010, the most indulgent week of the year! Want to be seriously tempted by chocolate goodliness? Then read on for details of what we at Divine got up to for Chocolate Week! If you don’t know yet what Chocolate Week is then here’s a brief précis – essentially it’s a celebration of fine chocolate which happens each year in October and was set up seven years ago by the Academy of Chocolate. Divine has been the main sponsor since Chocolate Week first started, and has really made it what it is today – an extravaganza of chocolate activity with events up and down the country – helping it be voted the nation’s favourite themed week. experience Divine in all its forms, from straightforward sampling of Divine bars, to chocolate cocktails at hotels and chocolate dishes on restaurant menus. 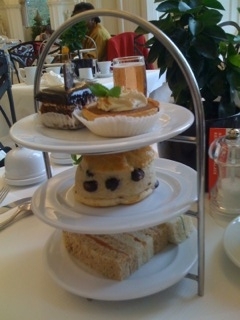 A fabulous Divine Afternoon Tea at The Orangery, Kensington Palace complete with chocolate-chip scones, a Divine Chocolate Tart made with Divine ganache & creamy toffee in a sweet pastry case topped with orange cream and more choccy pastries. compote. I’m told their Divine chocolate orange cocktail was also a massive hit. K West Hotel in Shepherd’s Bush went all out for Chocolate Week and created five Divine cocktails to serve in the bar. My favourite sounding was Raspberry Blush made with Absolute raspberry, Dark cacao liqueur, coconut syrup and melted Divine 70% chocolate. My colleague Charlotte held a chocolate afternoon at a shop called Eco Age in Chiswick and bumped into Colin Firth who said he liked Divine’s milk chocolate and orange chocolate best, explaining “I don’t like the sophisticated stuff”! Well who’s to argue with that! Look out for our next blog post by Tal, our Marketing Manager, who visited Kennards deli in Bloomsbury and sampled our 85% and Ginger & Orange bars. When I heard that Divine had launched a new 85% Dark Chocolate bar I immediately started thinking about recipes I could use it in. It’s a surprisingly good eating bar – despite the high cocoa content it’s neither unpleasantly bitter nor overly crumbly (due to reduced fat content). But I really wanted to cook with it. I’d also been wanting to cook with the Billington’s sugars I’d had in the store cupboard for a few months. 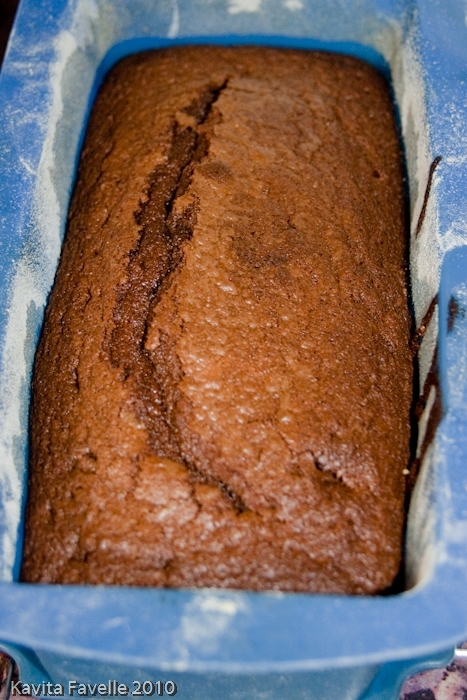 The recipe I chose is Nigella Lawson’s dense chocolate loaf cake. 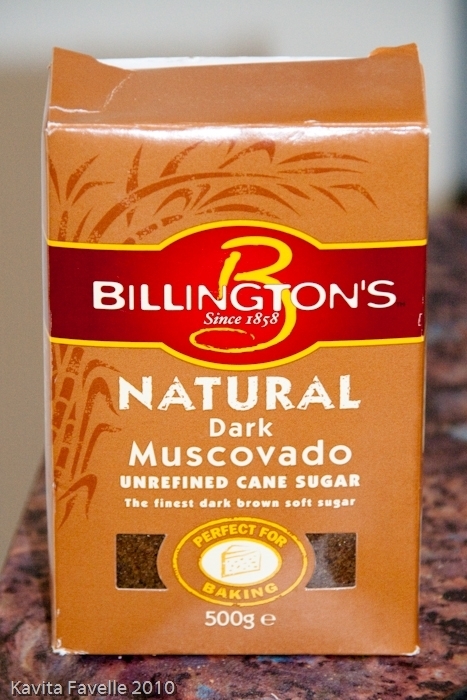 Simple, reliable and absolutely delicious, it’s even more of a winner when made with Divine 85% chocolate and Billington’s dark muscovado sugar. I took some into work and, as well as the normal cakeitude (cake gratitude) – which would probably come my way even if I took in a shop-bought mediocrity – I received some proper glowing compliments. A number of people showed real interest in the recipe, keen on the rich chocolate hit and curious about what gave it that deep caramel flavour (the unrefined dark muscovado sugar). I was even asked whether I might consider bringing some in every day! I’m pretty sure we used lightly salted butter, that’s what’s usually in my fridge. The original recipe calls for “best dark chocolate” which I would imagine is commonly interpreted as 70%. • Preheat oven to 190 degrees/ gas mark 5. • Grease and line the loaf tin. (Nigella adds that lining the tin is very important as this is a “very damp cake” but as we used silicone loaf moulds, we just buttered and floured generously. • Mix the bicarbonate of soda with the flour. • Cream the butter and sugar then add the eggs and vanilla extract, beating in well. 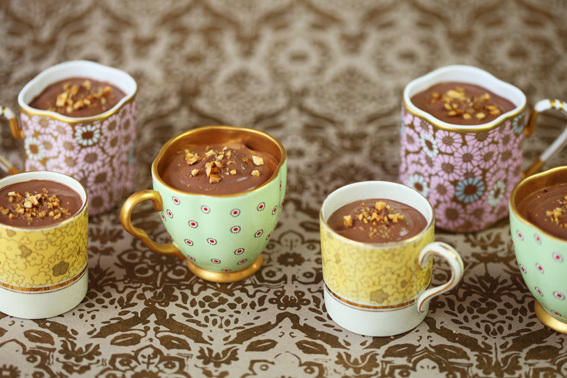 • Fold in the melted and slightly cooled chocolate, taking care to blend well but not to overbeat. (Nigella advises that you want the ingredients well combined, not a light airy mass). • Gently add the flour (and bicarb) alternatively, spoon by spoon, with the boiling water until you have a smooth and fairly liquid batter. • Pour into the loaf tin and bake for 30 minutes. • Turn the oven down to 170 degrees/ gas mark 3 and continue to cook for another 15 minutes. • The cake will still be a bit squidgy inside so an inserted cake-tester or skewer won’t come out completely clean. • Place the loaf tin on a rack and leave to cool completely before turning out. 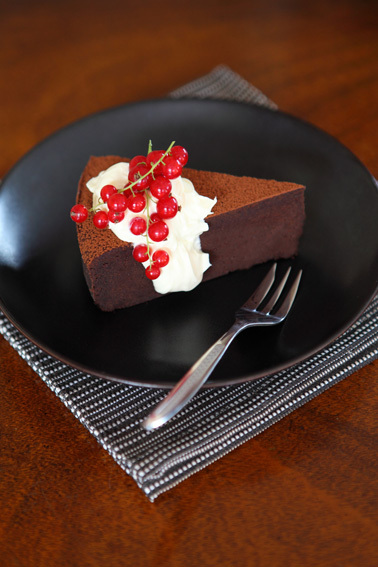 • Nigella also mentions that she often leaves the cake for a day or so as, like gingerbread, it improves. 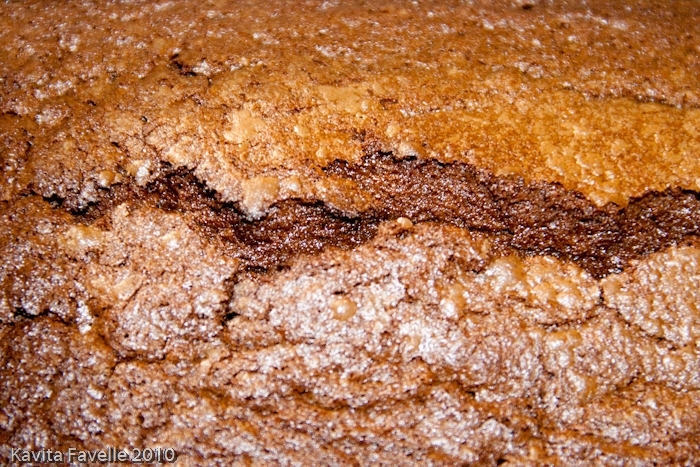 She also points out that the cake often sags in the middle as it’s dense and damp. Let them eat a Divine cake! 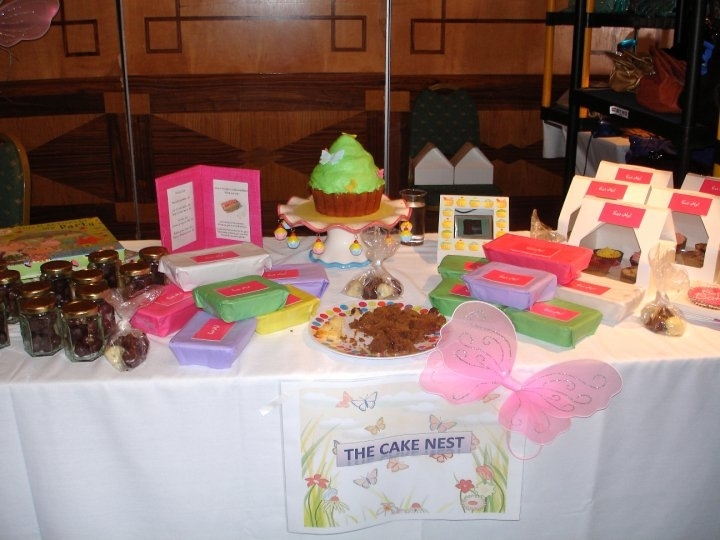 Last week, I had the privilege of holding a stall at the Childrens Adventure Farm Trust’s (CAFT) ladies lunch at Mere Golf and Country Club in Cheshire. A big event with nearly 300 people attending and something I wanted to do justice to, to boost the charitable donations of the day. I plotted and planned the best things to make for my stall, I am a cake maker by trade, mainly doing large birthday and wedding cakes locally, so I needed something different to sell on the day. 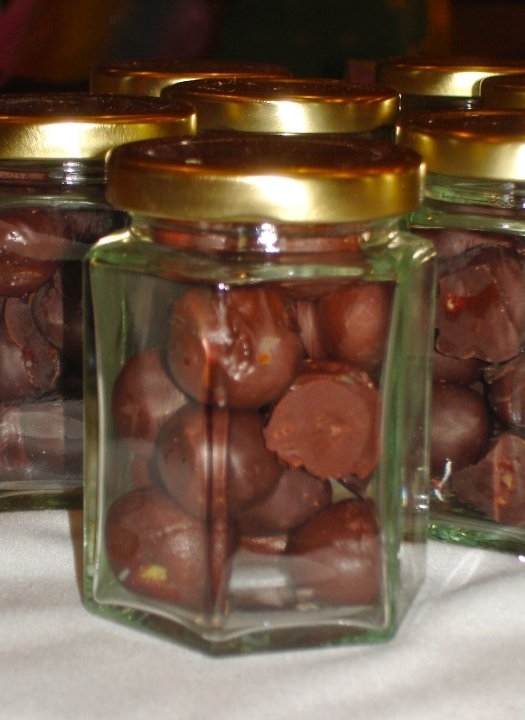 I work a lot with Divine chocolate in the slices of cake that I sell on my website nationally and have recently started doing cake balls… delicious balls of cake dipped in chocolate. This was my plan! I thought jars of cake balls would be something unique, attractive and ultimately yummy on my table so I placed my order to stock up with Divine’s chocolate to make sure I would have enough for all. Unfortunately, my order did not arrive in time, so I shot down to the shops and got some from good old Morrison’s! Not as much as I would have liked but it had a mysterious impact on my day…! As the ladies arrived and looked over the many things I had to offer including cupcakes, lemon and syrup cake and parkin they also partook of some samples. The most popular of which were the cake balls. 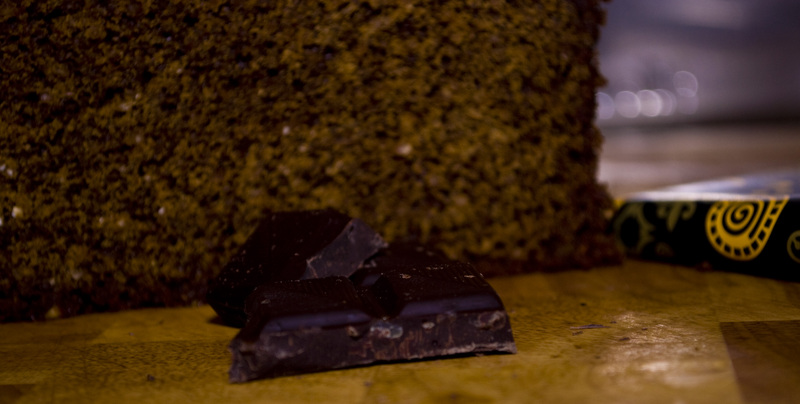 Many people were surprised at the taste and texture but also that they were enjoying dark chocolate. Now, although it is something I generally swear by, I know many people enjoy milk chocolate. Many people commented on how rounded the taste was and not at all bitter. I directed them to my Pick Me Up slices and told them if they enjoyed that they would love this! The moral of the story? Let them eat cake! A chance to combine many lovely things in many different ways. Why not send a slice to a friend and see what they think too! I’ve only ever heard good reports about how Divine chocolate works with my cakes. Divine is an inspiration to many, thank you for inspiring so many at such a wonderful charity event! The famous Divine Cake Balls! I for one, can’t wait to race home tonight and make pancakes tonight. We are discussing our favourite recipes here at Divine, I like mine with either raisins or melted orange chocolate. Charlotte likes hers American – spongy with maple syrup and Rosanna likes hers with lots of melted dark chocolate and crème fraiche with a few raspberries round the side. Break up bars in separate heatproof bowls and melt gently over steaming water. Remove bowls from heat. 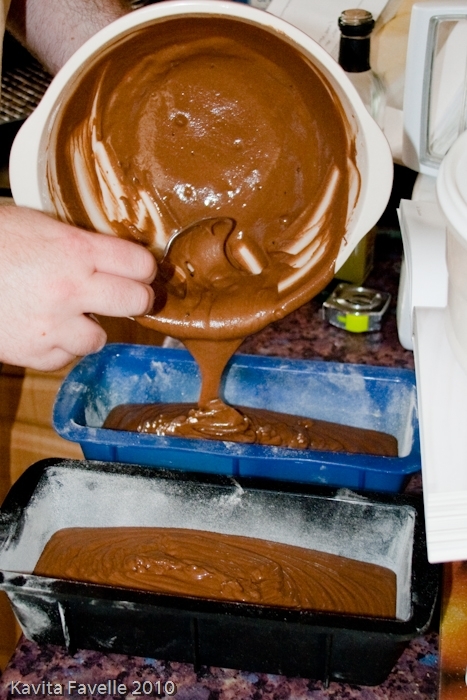 Heat cream until very hot but not boiling then stir in equal amounts into each of the chocolate bowls. Add a tablespoon of liquor if you wish. Pour on to pancakes and enjoy! Do you have a great pancake recipe you would like to share? Post below and we’ll send the most creative pancaker a selection of chocolate.